What Is the Purpose of the Magnetic and Self Adhesive Aisle Markers? 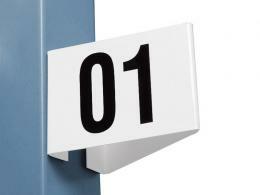 Get your aisles in order with the magnetic and self-adhesive aisle markers. If your warehouse has a large shelving space out the back, you need a way to rapidly identify which aisle is which. It can be difficult for ordering and organizing purposes if you don’t have everything properly labelled. 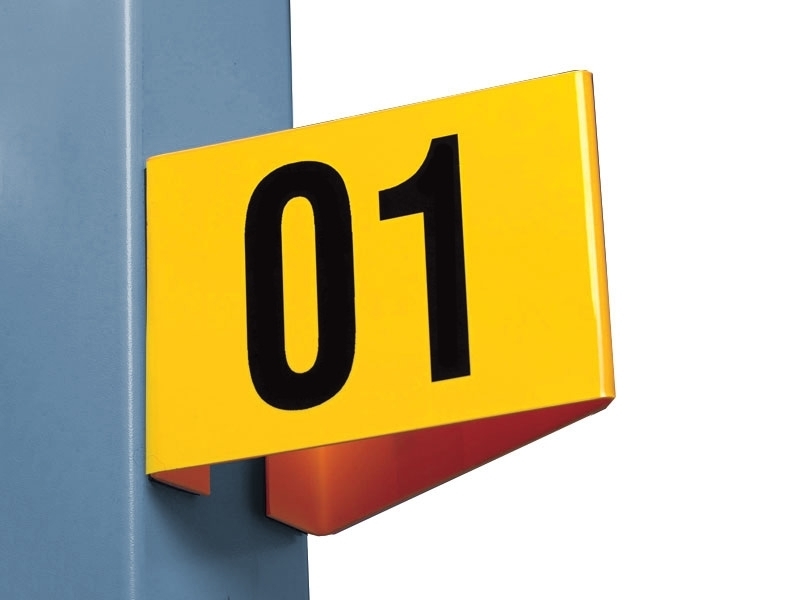 With these high-visibility aisle markers, they can create a simple way to order your entire warehouse. The aisle markers can come in a variety of sizes and shapes. They even can be marked on both sides of a right angle with corner mounting. The self-adhesive and magnetic properties of the signage make installation a breeze with needing to drill any holes. The flanged ends make for a perfect fit onto just about any shelving or aisles that you may have. So, whether it’s for stocking purposes, easy location services, or simply just to know how to count the inventory, these magnetic and self-adhesive aisle markers work in your warehouse or store. If you have aisles in any capacity, either in front of house or in the back, these markers will work for you. The stores with many aisles can use them to guide customers around. The back end of a warehouse make it easy for parts to be found, such as in an automotive parts store. Anywhere with aisles or shelving that needs to be tagged can use these markers. The best use for these markers is on an aisle. That makes it ideal for factory and warehouse managers, store managers, or forklift operators. These signs come in highly visible symbols so that your aisles won’t be hard to move around. White or yellow styrene provides high visibility. Flanged signs come ready to mount, protruding signage, flat mount, and double-sided mounting. Magnetic and self-adhesive backs make installation quick and easy. 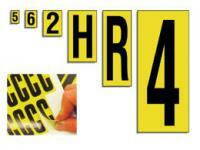 Signs come customised to your order, so specify the numbers and letter needed and their quantities. Sizes range from 95mm to 660mm in height. See catalogue for entire range of options. 1 year warranty on all products and labour included with every purchase you make at Workplace Depot.